Ciao Italia, Australia, Vietnam e Filipinas! 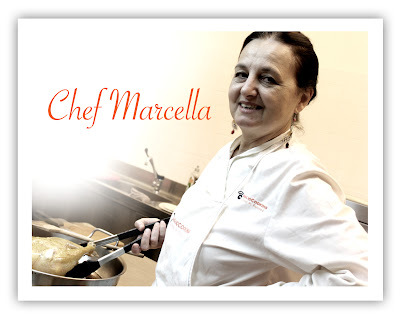 To these four countries in the world that I consider my nests, I'd like you to meet Marcella! She is my Italian culinary mentor and a friend! I have long wanted to write this blog post for her but I just couldn't gather all the thoughts that I have in mind to describe this very admirable lady. Today seem to be the perfect day for me to put all those words together in this special blog entry. 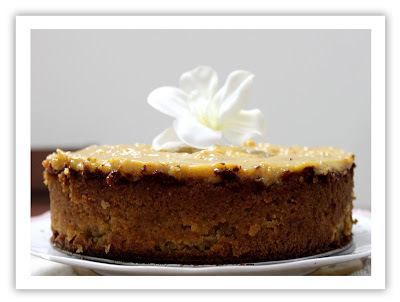 To make it more special I did the cake below and I would like to dedicate it to her on this special occasion of International Women's day to give tribute to her and to all the women in the world who are just like her--- Grande! Happy International Women's Day Ragazze! Marcella Ansaldo and I met through my cooking school in Firenze where I took the trimester program. She hails from Giglio a small island in Tuscany where she and her family had their restaurant that ran for many years. One day they had to sell the restaurant and decided to move to Firenze. 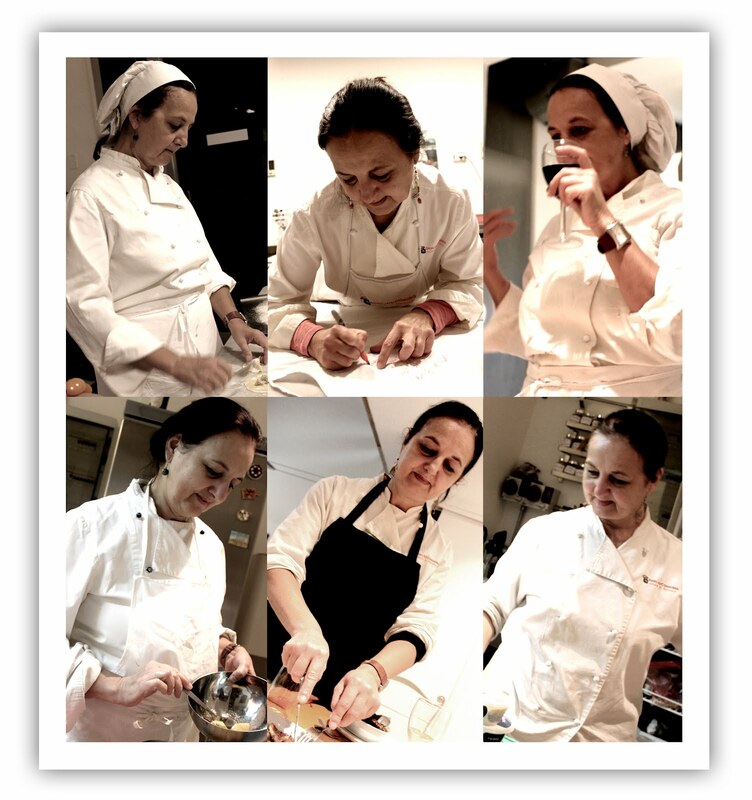 She taught Italian cuisine in Apicius Culianry school in Florence for a decade before she put up her own. In her school she always talk about her island Giglio and about her room window with the view of the sea. She basically loves seafood because she grew up with a good catch of those everyday of her life. Now a well-achieved cooking Guru, Marcella exemplifies the woman with huge passion for cooking and a good mother. 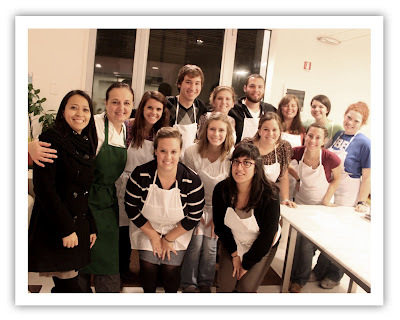 I also have a huge passion for cooking and that is the main reason why I went to Italy. And because of that good fate, I met my mentor and my good friend. I can now say that my Italian cooking knowledge is quite diverse. My palette is now trained to know what is right and wrong when it comes to Italian cuisine. Most of all, the number one thing that changed my cooking behavior is learning to tame the amount of flavor and spices I put in the food I cook. Now what will always resonate in my memory is whenever Marcella will yell at me the word "BASTA!" (which means stop) every time I put too much pepper in the dish I cook. Italian food is simple and it's always about fresh and good quality ingredients. From those learning I appreciate good food more. How I miss Marcella, the way she danced during our classes, the devilish laughter but always carry the angelic smile and above all the motherly care she provided. 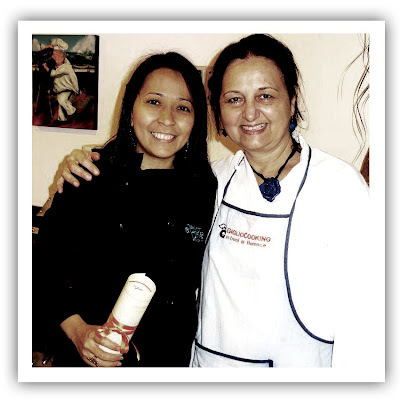 I thank her for everything that we shared together during the cooking classes and the one special day that she invited me to assist and see her doing the big class with tons of American teenage kids. It was hilarious and fun but what I will always cherish are the private classes we had whom she branded as a "FAMILY" thing. I look forward to the day that we can cook together again. One day we do more than cooking but a big project about FOOD and the world! Congratulations joanie! I love being part of your adventures through this blog! Can't wait to see you by the end of the month! I am happy as I see your blogs as well. :) See you soon Un bacione! Congratulation! You are themaster chef. I really like you while wearing this chef clothing.